Mount Hope Church Hubbardston – "Passion for God, Compassion for People"
Welcome to Mount Hope Church Hubbardston! 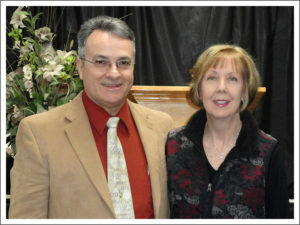 Pastor John & Joyce Gosselin welcome you to worship with us at Mount Hope Church Hubbardston. Our doors are open to everyone who wants to find deeper meaning and purpose in life. Established in June 2009, we are a growing church that provides a place for people to know God and grow in their relationship with Jesus Christ. To reach all of Hubbardston, the surrounding towns and the world with the life changing gospel message of Jesus Christ. To motivate Christians to know God intimately, live victoriously and grow up spiritually. Mount Hope Church Hubbardston’s vision is to see people saved, healed, set free, equipped and empowered for ministry for God and His Kingdom. Join us for Sunday Service at 10:30 AM. We look forward to meeting you!